With a new year under way, it’s time to explore which beverage trends will hold steady, which will surprise us and which will fade out. We talked with a number of local industry experts to get their take on where things are headed in 2019. Here are their top taste trend predictions. Gary Richardson, Executive Director, Rhode Island Brewers Guild, believes enthusiasm for craft beer in the state will remain strong in 2019. “What we’re seeing in Rhode Island is strong interest in craft beer continuing, not only by the amount of beer produced, but the fact that the Rhode Island Brewers Guild has grown from five members in 2013 to 24 in 2018, and many of those – 11 in fact – were opened in the past year,” Richardson said, with more to come this year. Erin Swain, Independent Wine Consultant and Director of Wine Education at the Ocean House, predicts that sour beers will continue to gain ground with state consumers. Several remarked on the uptick in the demand for craft ciders. Swain predicts the rise of Slovenian wines, both red and white, along with “volcanic wines” from areas such as Santorini, Greece and the Azores. 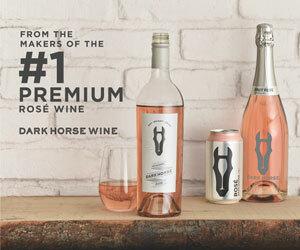 As rosé remains popular, Swain expects to see consumers enjoy it in portable, picnic-friendly formats, such as boxes and cans, with an emphasis on environmentally friendly packaging. Panaggio said he believes the growth of rosé has “leveled off,” while “Chardonnay and Cabernet still dominate, followed by Pinot Noir, Pinot Grigio and Sauvignon Blanc.” Sparkling wine, especially sparkling rosé, is gaining ground in the market, along with Champagne as the economy has rebounded. Korry sees an increased, continued growth in locally produced wines and beers. “Everything local sells,” he said. He also predicts that natural, organic and biodynamic wines will continue to grow in favor with consumers. Allen expects the awareness of health and sustainability issues will increase options for lower-ABV and vegan wines, and “wine on tap, kicking around for the past 30 years, is poised to shine… offering a by-the-glass option with a considerably kinder carbon footprint,” she said. Panaggio projects continued growth in spirits and sees bartenders favoring higher-quality ingredients in cocktails, along with “better” garnishes. 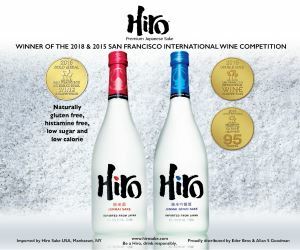 “The use of better mixers like vermouth or bitters is for real and it is long overdue, as Americans were served marginal mixers for years, which ruined the drink,” he said. Korry projects that micro distilleries and botanicals in spirits and aged rums will continue to see growth. Swain predicts that Japanese whisky, single malt scotches and barrel-aged tequila will continue to gain traction, too. 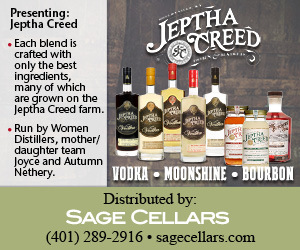 Jonathan Pogash, President and Owner, The Cocktail Guru, anticipates the rise of batched cocktails, either on draft or bottled, as “this enables bars and restaurants to churn out cocktails at a much higher pace, thus leading to more revenue and less wait time for guests,” he said. “[Batched cocktails] are also a great way to brand and personalize cocktails for a particular bar or restaurant,” he said. Frank Martucci, Director of Beverage & Nightlife at Twin River Management Group, believes an emphasis on health and wellness will continue in the beverage industry during 2019. “The emphasis on mental and physical health via exercise, healthier eating, improving industry equipment and step of service will continue to be the attention of bartenders and owners in the upcoming year,” he said. Martucci also predicts healthier lifestyles will encourage consumers to seek low-ABV selections, including amaros, beer and malt beverages, and alcohol-free products. Maldonado said she also likes to focus on sherries and nonalcoholic distillates in her cocktails. “Making our bar inclusive to all guests, whether you enjoy a spirit-forward cocktail, low-proof or spirit-free, there is always something interesting to enjoy while taking in the space,” she said. Industry professionals have noticed an increase in consumer beverage spending in general. Wybraniec has seen an increase in bottle sales and diners splurging on pricier selections. “I think people are feeling good and spending more when they are dining out and it is showing in their wine choices,” she said. Another emerging trend on the horizon is the use of cannabis or cannabidiol (CBD) in beverages, as “marijuana derivatives [are] being perceived as a healthful or beneficial choice,” according to Korry. 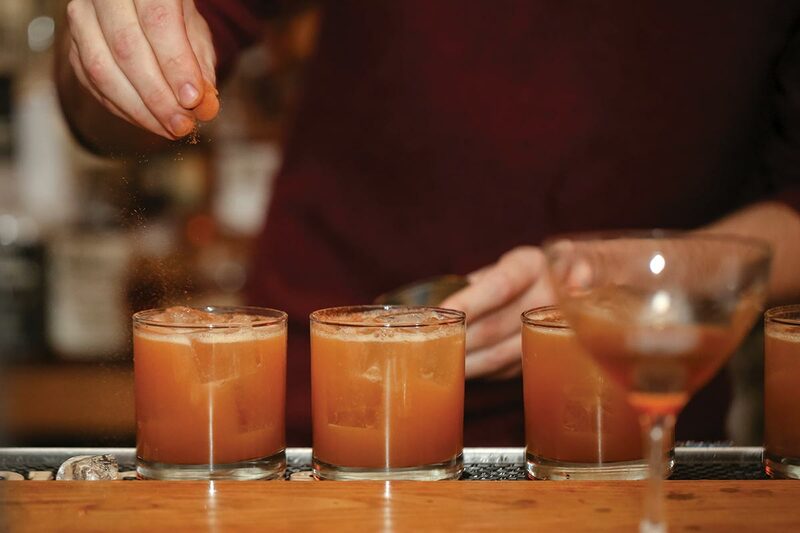 Panaggio predicts the rise of cannabis in cocktails, saying, “It will be happening … it is trying to sort itself out as to which direction it will go. Stay tuned on that one.” Martucci, too, predicts its future use. “With many states adopting cannabis for purchase laws, the food and beverage industry are looking at ways to add additional revenue with the infusion of [cannabis] into guest offerings,” he said.